Here’s how to automatically resign yalu102 iOS 10.2 jailbreak app without computer using Extender Installer package. Here are the details on it. 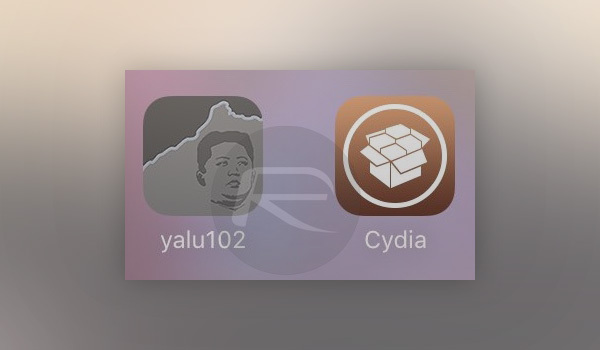 If you are using a jailbroken iPhone running iOS 10 then you will likely already be very much aware of the fact that you have to keep re-signing the yalu102 app once every week in order for everything to work as it should. While in the grand scheme of things that is perhaps not the most egregious thing in the world, if you are anything like us the fewer things you have to remember to do, the better. A new jailbreak tweak has your back now though, and most importantly it means you will no longer have to worry about manually re-signing yalu102 ever again. The tweak we are talking about is a free one which can be downloaded from Cydia, called Extender Installer. This tweak is based on Saurik’s now-abandoned Cydia Extender project and takes it one step further. It will install an updated and importantly modified version of Cydia Extender. That modification does a few things, like the ability to automatically re-sign yalu102 jailbreak app without any user intervention or computer required. Step 1: Launch Cydia and add the repo.incendo.ws repository. Step 2: Next, search Cydia for Extender Installer package and then install it. Step 3: Launch the newly installed and modified Cydia Extender app from your Home screen. Step 4: Make sure that you are signed in with your free Apple ID at the top of the screen. Step 5: Tap the More button at the bottom-right of the screen. Step 6: Here tap the Re-sign Threshold option. Step 7: Select a time period after which you want apps to be re-signed automatically. Anything less than a week should be just fine. That’s it, you’re all done. Now when its time to re-sign the app, it will be done automatically and you will be notified about it. No more having to remember to re-sign yalu102 app for fear of the sky falling in, and the whole thing is now automated. If you ever needed reminding why you love the jailbreak community, this should do it just fine. this does not work for me it does not let me sign in says more login is not correct but i try logging in on the app store and it works fine. I made a joke, but I guess taking it seriously is OK too. Dev ID or normal ID? Can’t install the app because no TeamID is found during installation. but if i switch the phone off i need to run yalu again!!!!??? Use cydia impactor – select xcode then revoke cert. Enter the iTunes account credential you’re trying to use to resign/reinstall your yalu102. Installed and it’s working fine for me. Man, the jailbreak community never ceases to amaze! Thanks, that seems to have worked!! This solution also works on 10.1.1 mach portal! Same problem here. Two different apple IDs. I found out that if you have a + symbol in your password, it will not accept the password. I just changed my password and now it works fine. go to Cydia impactor & revoke ur certificates under Xcode.This will fix ur issue. Awesome, it finally worked!! Thanks for the help/your comment! +1!!!! …I force closed all open apps and attempted to manually “Re-sign” again and it worked!, “Success”!! I have it installed but the problem is that it does not have Yalu or anything on the list to re-sign. I have just rejailbroken with yalu today. It’s only $99 for a dev’s account? I’ve been using Pgyer and zero and I’m sick of them getting patched..